Karen Haller | Case Studies | Karen Haller Colour & Design Consultancy is based in West London, UK, working with businesses and private clients on their branding, personal and interior colours & design, specialising in Applied Colour Psychology. Here are just some of our client success stories - ranging from business brand identity creation (brand personality & colour analysis for new brands and rebrands), business interiors (colour & design psychology), colour teacher (colour psychology & colour theory) and colour expert for major brand product campaigns. Karen is currently working with Aedas as their applied colour psychology expert on a major corporate client project to create a colour palette and design style that will elicit positive behaviour, increase productivity and sense of wellbeing. Karen was ask as part of Aspinal of London’s 'Psychology of Colour’ campaign to look at the Instagram feeds of nine celebrities/ inspirational women to look at what their colour choices says about them. Read article. Karen trained the Coral Dulux paint colour consultant team in Advanced Colour Methods. This training was carried out online as well as in-person training for which Karen travelled to Ghana. She also gave two colour workshops for local industry professionals. Karen was asked by The National Gallery London to provide 20 minute workshops on the psychology of colour for their Friday Late: Australian Impressionists event. In their sensory series, Karen was asked to share her expertise in how colour is an often overlooked sensory experience. One that is invaluable in the kitchen and around food. Read article. Karen was one of two guest speakers at the museum’s Friday Late: Colour event where she gave two talks on the psychology of colour in branding. She was also interviewed on London Live (TV). Karen was asked to head colour campaign for Pink Lady®’s Pink Campaign which involved articles on the psychological and physiological reactions to pink and ways to use it in every day lifestyle. Read blog article. Karen was asked to head Up Your Bring The Colour King George race day. A short video was created discussing colour to get people engaged, excited and interested in the King George race day. She was also interviewed at the races on Ascot TV on our love of wearing colour at the races. Watch video here. Karen was asked to create colour masterclass attended by influential bloggers and the media as well as carry out two resident colour consultations for media publications along with colour tips for new renters. Also a fun online app to discover the perfect colour for you and your home. Find out here. Karen was asked to give a talk on ways to ‘Live Life in Colour’ for shoppers and staff referencing the Valspar paint range at their Loughborough store. Karen was asked to create colour content to support the Skoda ‘colour corner’ campaign with the Felt Mistress’s colour artwork to transform a corner of the UK with colour. Read article. Karen was asked to share her expertise in applied colour psychology on choosing the right colour palette for your kitchen for Magnet Kitchens digital magazine. Read article. Karen provided a tonally harmonious colour palette for waiting room, reception area and consult rooms to maximise the well-being of the clients with their ill pets for the Maldon and Purleigh (UK) practices. Karen was asked to write content for the iscd colour design diploma course using her expertise in applied colour psychology in the topics of colour for products, marketing and branding and extended colour theory. Dr Joanna Martin founded One of Many as a way for women to come together, with a common vision to change the world. She wanted to ensure there was an authentic alignment between the written message and the messages the colours were sending out. Karen was asked by the guide author, Jacqui Smith of Home Smith Interiors to write the chapter 'Colour & Contrast Guidelines' for the guide Homes and living spaces for people iwth sight loss: A guide for interior designers. Download the guide. Natalie wanted to create a luxury wallpaper brand with a difference. Her aim is to encourage progress in the direction of social conscience and sustainability of luxury brands - concepts not yet highly visible in the luxury market. Karen is heading up the year long colour campaign for major UK retailer Hammonds furniture on how to bring colour into the home, featuring the Great British bedroom survey and ongoing media activities. Fronting the Dove Colour Confidence campaign as their colour psychology specialist, Karen met with journalists & bloggers, wrote articles and carried out colour consultations for competition winners featured in Glamour UK. 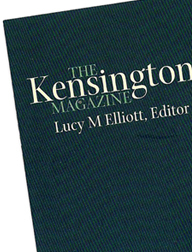 Read articles here and here. Natalie set up Ambitious Goddess Co. to create a community of women with heart-centre ambition, authentic vision and the resources to live fully in a powerful state of flow, which she wanted to be reflected in the brand look & feel. US photographer Karen McMillian wanted a brand that expressed the natural warmth, fun, joy and honest way she is able to connect with each pet, capturing them at their happiest, creating lasting memories for their owner. EMS is an international company based in The Netherlands specialising in personalised high end mentoring programs for global infopreneurs. They wanted their brand identity to visually convey their brand values and message. Creation of Covet London brand based on Brand Personality Colour & Design Analysis. Culminating in the who's who and where to go guide (part of the Covet Girl brand). It was important for Jo the brand personality and design expressed a new evolution of business 'leading through values' targeting restless executives from a heart-based approach. A&C Tadman are a family run business established in 1841. They were looking to bring their brand into the 21st century whilst maintaining their strong traditional values and old fashion customer service they are known for. It was very important for the brand to express how the client will feel after working with Precision Movement, along side expressing the quality of care and attention to detail of their service and delivery. Mastermind Training is a forward thinking brand. Their vision is to create a group of companies that values both financial and spiritual prosperity, through inspirational training methods. Karen and Pitney Bowes' Head of Brand discussed results of their European study in 16 UK radio talks 'if the way we perceive colour is affected by where we live & how businesses can use colours to create impact'. Karen was brought in to be the Thomas Pink 'Shirt Lab' colour psychology expert as part of their 'Personally Pink' campaign at their flagship Jermyn St store, helping their customers with which colours to wear for which occasion and colour matching. Karen was the colour psychology expert heading up the 3M Post-it UK new product colours launch, speaking on radio nationwide about the research carried out on the'colours of a nation' and how colour can affect our mood and behaviour. As part of her Academy Dipolma course, Peggy brought Karen in to train her students in colour personality. This was to enable her students to tap into their unique colour and design style and gain an understanding of their business branding colour identity. 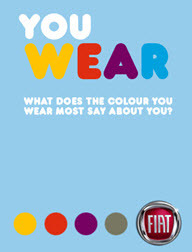 Karen worked with Logitech as their colour psychology expert on their 'Colours for Successful Situations' campaign. An infographic was created to launch their new product colour collection. The campaign was used in the UK, Europe, Eastern Europe and Turkey. Almira Ross untook a rebrand as it was important her brand stood out for all the right reasons. The brand's personality, values and purpose were positively reflect in the colour and design. Sue's decision to rebrand was to ensure the brand's authentic personality and colours attracted her niche target market, setting realistic expectations of the brand's offerings and level of service. Elle rebrand to full express the brand's true identity - one that is timeless and reassures the clients their needs will be met. To be instantly recognisable and increase brand loyalty - the go yoga and wellbeing place. Clearly reflect brand's professional identity to attract the right customers within her target market and dispel any confusion between similar services. Luke wanted to ensure his new brand and its values are instantly recognisable and therefore prospects are immediately engaged and desire to explore their services. Their focus being brand identity, awareness, differentiation and engagement. Marina instructed Karen to carry out a review of her existing brand as she felt the current colours, font and design was not reflecting her brand's authentic personality and values. Re-launching her business, Kathryn decided on a brand analysis as she felt her current brand was too hard and was actually repelling her ideal clients, and attracting the wrong type of clients. It was key for her to build the right brand image. Amanda's request was to have a brand that appeared more professional with longevity. To attract her specific customer base through all aspects of her brand identity - online, literature & products. It was important to An that her business brand clearly reflected its professional identity, to attract the right customers within her target market. An instantly recognisable brand. Re-launching her business, Alicia was looking for a brand refresh. Understanding the importance of colours, Alicia commissioned a brand colour analysis to find out which combination of colours would best reflect her brand values, giving her the edge on her competitors. Tamsin's brief was to create a colour palette that reflected her main Tamsin Fox-Davies brand and her group of sub brands. Tamsin wanted to ensure her brand values were clearly reflected in all aspects of her brand identity, both online, literature & products. 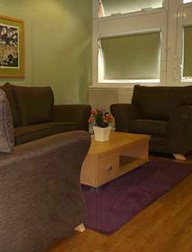 London's oldest children's hospice, the brief was to create a colour palette to reflect what this organisation stood for. A brand colour palette was created which will be applied to their charity stores, campaign literature, t-shirts & newly designed website. Keren Lerner's request was to carry out a business branding colour analysis to ensure her branding colours are a true reflection of her brand's values and ethics. It is important how her current and potential clients perceive her brand. Given their international client base, it was important for this web design agency to have a clear brand identity. 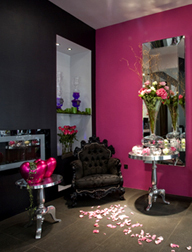 A bespoke brand colour palette was created to reflect this. Applied across all their stationary, and carried through to their website. As the creator of a bespoke holistic skincare range, Cyrine felt her current brand identity did not reflect her brand's personality. Completing the brand personality analysis, a brand colour palette was created and then applied across all mediums such as logo, website & product packaging.